Since convict times, the concept of prisoner labour has shifted from being a form of punishment to being a means to rehabilitation. Some would also argue that it can be abused as a source of cheap labour. For convicts at Moreton Bay in the 1820s-30, labour was the punishment. Only basic manual tools were allowed for backbreaking work in agriculture, resource gathering, and construction. 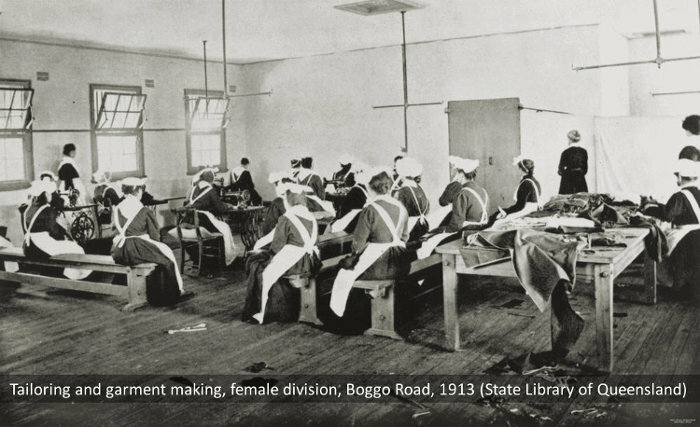 Female convicts were employed in needlework, washing, picking oakum (unravelling bits of old rope), and field labour out at Eagle Farm. Not all prison labour was useful. 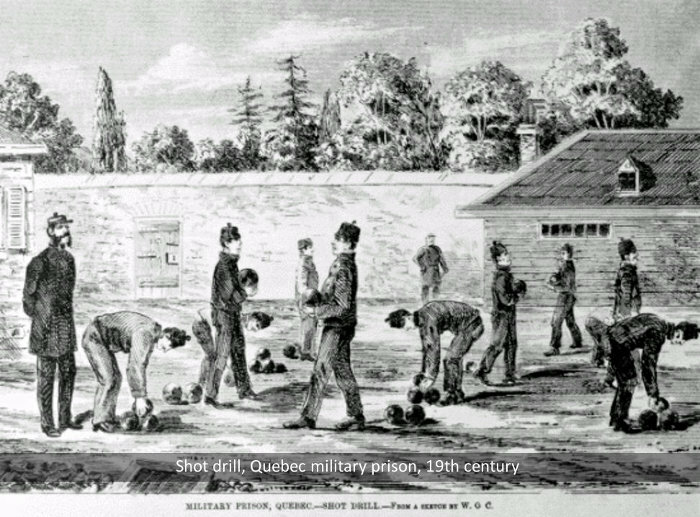 In the 1860s, Queensland prisoners sentenced to hard labour were forced to do ‘shot drill’, repeatedly moving cannonballs from one part of the exercise yard to another and back again. 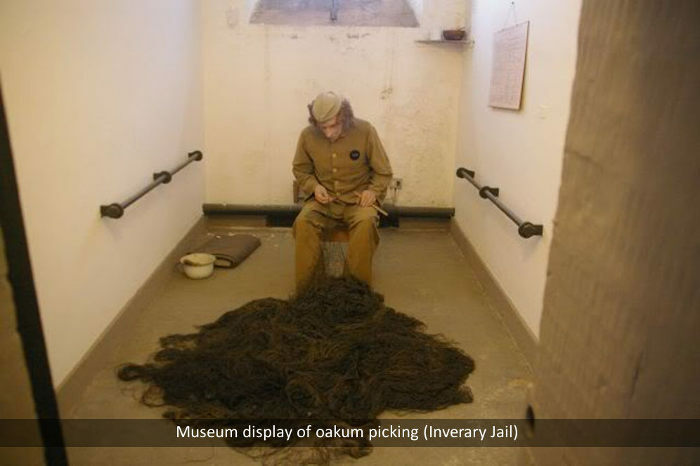 Picking oakum in their cells was another form of labour, one that was particularly tedious and dirty, and inmates were set daily quotas. 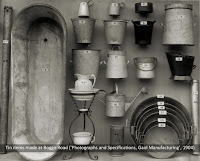 The 1868 inquiry into Queensland prisons recommended that prisoners could do such work as shoemaking, baking, and tailoring to provide the food and clothes for prisons. 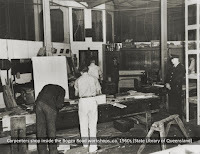 At first the lack of workshops was a problem, but newer prisons were designed to overcome this. One of the perceived benefits was that inmates might learn work skills that would lead to gainful employment upon their release. It was also officially noted that prisoners were generally more content when employed. 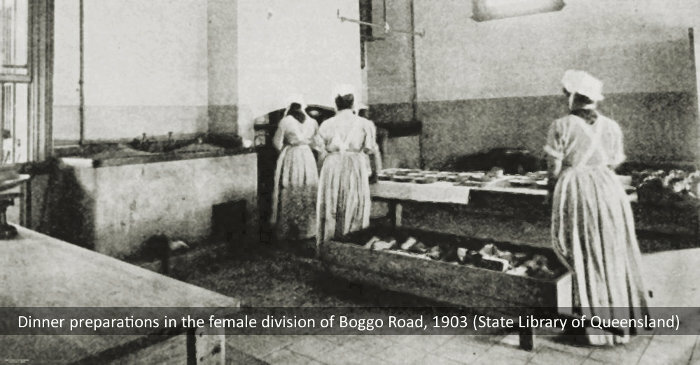 The division of labour in the society outside the prison walls was replicated inside those walls, and the women were made to cook, sew, clean and wash. This included making prison uniforms and other government institutional clothing, including mosquito nets, pyjamas, petticoats, nightdresses, shirts and jackets. 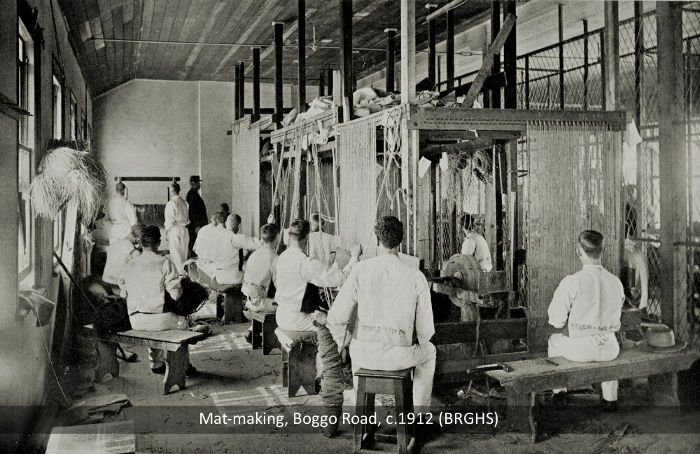 The men at Boggo Road were engaged in tinsmithing, carpentry and mat-making. All this industry created a lot of income for the prison, and totals were meticulously noted in the annual reports. In 1921, when the Brisbane Women's Prison became the No.2 Division of the men's prison, many prisoners from St Helena were transferred there. The island's industrial activities were transferred with them and St Helena became a prison farm. 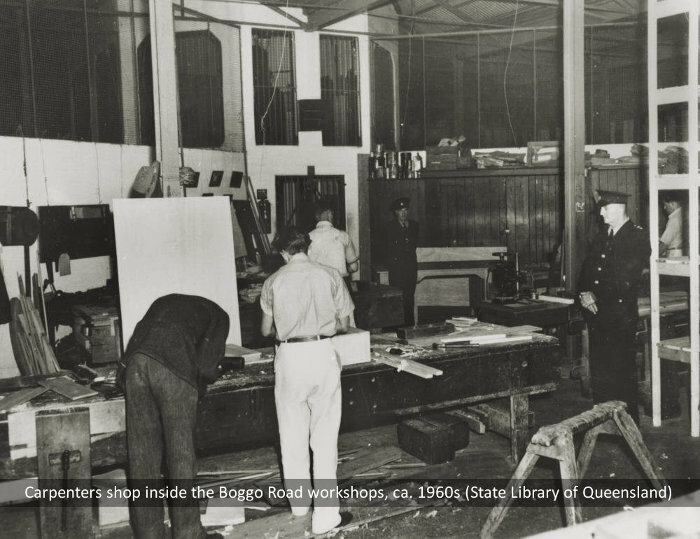 By 1925, Queensland's prisoners were working as tailors, boot makers, tinsmiths, carpenters, bookbinders and makers of mats, hats, baskets and hammocks. Their labour was valued at £15,926 pounds. In 1934, HM Prison Palen Creek was established as a prison farm, and with few security measures the low-security prisoners erected their own buildings and sold produce from prisoner-maintained market gardens. They also began a long standing tradition of cattle breeding which won them many prizes at the local agricultural show. During World War 2 the prisoners helped the war effort by making civil defences articles such as sand mats, gas alarms and military uniforms. 1901: 'Prison Labour' (The Telegraph): Complaints made to parliament about the 'unfair competition' of prison labour to private business. 1907: 'Prison Labour. 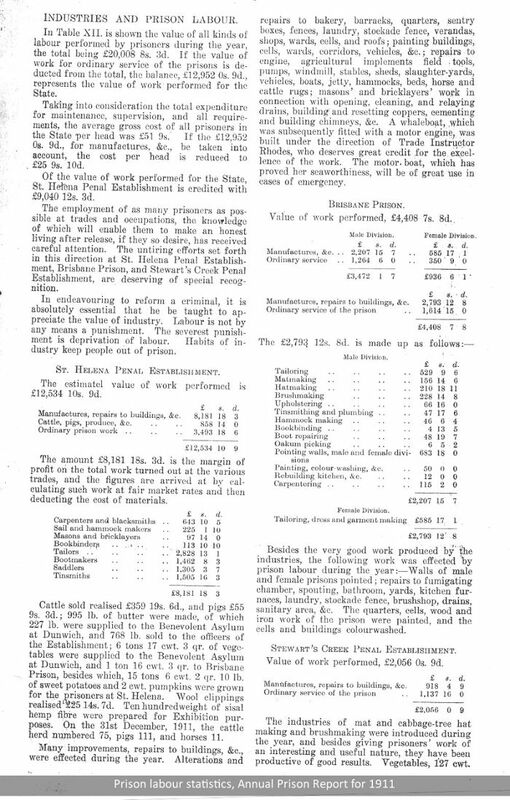 Methods of Employment' (The Telegraph): An analysis of the annual prison's report for 1906.